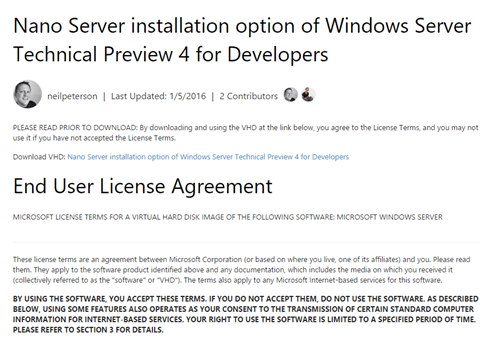 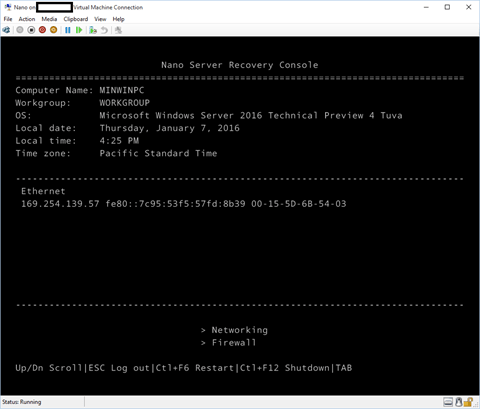 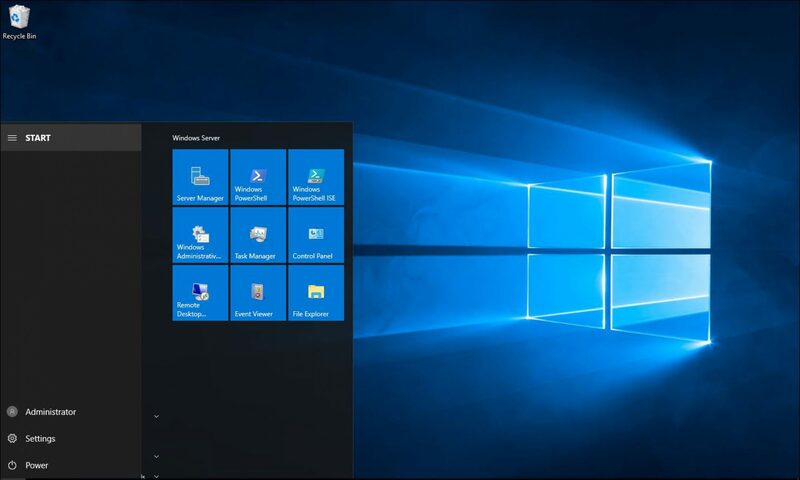 The Microsoft Nano Server Team just released the Nano Server 2016 TP4 In a single VHD (543Mb). 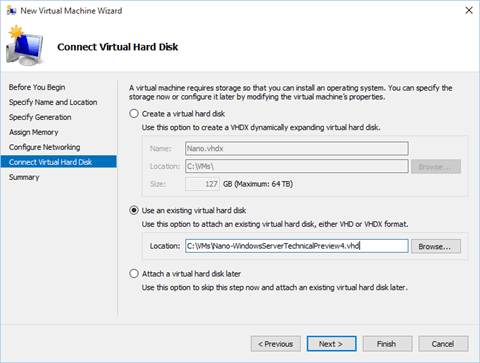 The VHD Is 543MB compare to the 5GB of Windows Server 2016 TP4. 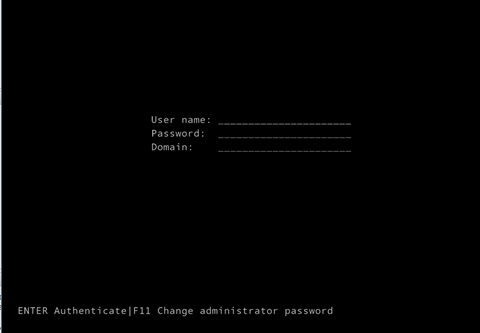 After you change the password log in.